Veredle den Präsenzbereich von Signalen mit druckvoller Röhrensättigung und Obertönen. Professionelle Mixing-Ingenieure nutzen die SPL TwinTube Hardware schon lange für die Optimierung von Gesang und Instrumenten. Durch das gezielte Anheben von Obertönen verleihen sie dem Signal mehr Präsenz und Griffigkeit, ohne die Dynamik zu verändern. Das SPL TwinTube Processor Plug-In für die UAD-2 Hardware und Apollo Interfaces ermöglicht die Anwendung der spezifischen Merkmale, des Sounds und des Klangcharakters der originalen SPL Hardware nun direkt in deiner DAW. Das SPL TwinTube Processor Plug-In vereint die zwei unverzichtbaren Röhreneffekte Saturation und Harmonics in einem einzigen Prozessor. Die beiden Module sind als unabhängige Bearbeitungsstufen konzipiert, die du wahlweise gemeinsam oder unabhängig voneinander einsetzen kannst, mit den jeweils typischen Klangmerkmalen. Dadurch erhältst du eine extrem vielseitige Palette an Klanggestaltungsoptionen, die von der weichen, seidigen Übersteuerung bis hin zu einer dratischen, rauen Sättigung reicht und über harmonische Obertöne zusätzliche Wärme erzielt. This unit does a fantastic job of making things pop out of your mix... love using it on vocals! I didn't need it, but I still bought it! This is one of my favorite plug-ins. The double tube emulation does wonders for weak or thin sounds. A great use for this one is to beef up VSTi synth leads that need a bit of body, and to remove that "digital" sound in the top end by giving it a bit of saturation and moving the focal point down out of the top end and into the mid/high range with the harmonics. Instantly sounds more "real". The only downside I can think of is that I wish there was more of a color difference between the different harmonic frequency settings, but that's not enough by far to knock a star off my review. Full marks. I picked up this plugin with the intention of using it for that "magic touch" of tube sound when I wanted it. Sure, you can try to use some of the old preamp plugins to attempt this, but I found them too subtle in the cases where I wanted that real fine rasp and those airy harmonics to be more obvious. The TTP not only does it perfectly, but it has the range of barely-there-subtle to outright overdriven. The complete control over frequency sweet spot, harmonics, and saturation, not only make it brain dead easy - but fast. You'll find you'll get what you want within seconds. It's like adding the perfect sauce on your already perfect steak. A few ago, we had a chance to hear the hardware version add character and life to a vocal take. We couldn't wait to check out UA's version. It actually gave us goose bumps. The SPL TT made everything (piano, guitar, hats, vocals) sound so sweet. A very natural harmonic presence is infused with the original sound. Awesome!!! I think its power is in subtle usage..i am currently working on a project it really helped to imporove the bass line to cut even better through the mix..just a little touch as if there is nothing..but when you bypass it, you realize you need it! the Twin Tube is better than the original from SPL and sounds warmer. I've been waiting a long time for your tool !!! Iam very happy about it. A good price for a super tool for all!!!! Wenn etwas fehlt, und EQ oder Compressor nicht helfen, rettet SPL TwinTube den Track. Er setzt Glanzlichter. Ein Tool welches mit wenigen Handgriffen den Sound auf eine höhere Ebene bringt. Who is going to buy this??? 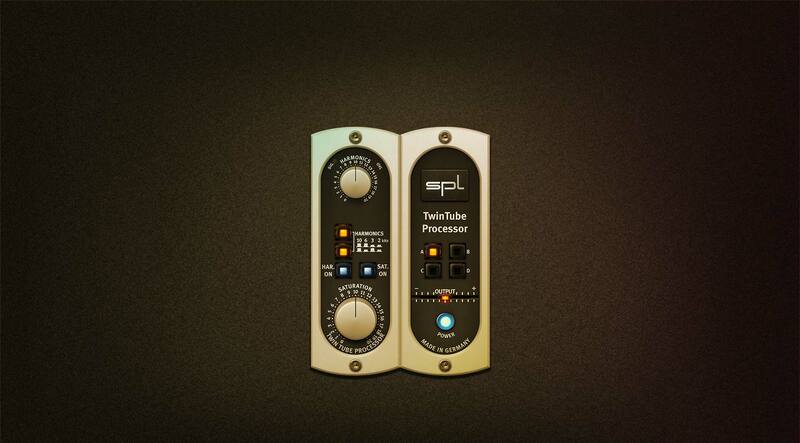 I use the SPL TwinTube Processor Plugin to get the harmonics i need on a single channel. It is easy to use and makes my workflows very fast. And it is great sounding too. I allways like to use it. Magic fairy dust on snares! 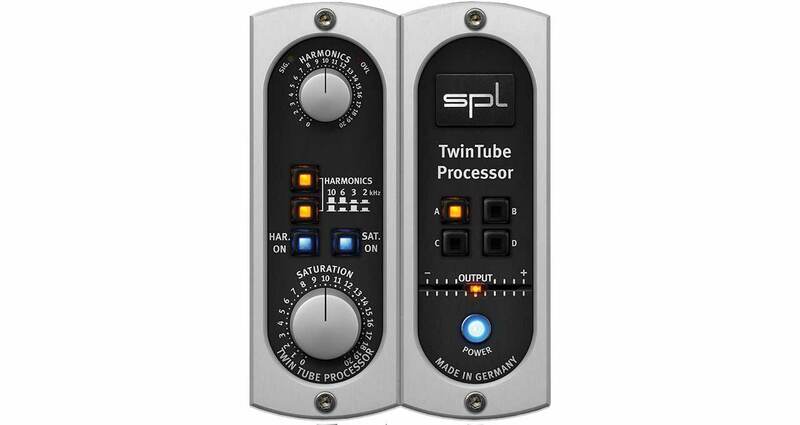 I've used the SPL Twintube Processor on just about every part of my productions, but it really shines on snares - makes them pop and even acts as a natural limiter of some sorts. Great stuff, and great bang for the buck! SPL always gives you what you need, no more, no less. This emulation gives you a valve color and warm but do not add extra character. Do not sound digital, if you use it "wisdomly" will improve your audio more than you could believe. Thanks UA! If you want to just add tube warmth to your sound, this is the most excellent solution. Horses and courses I guess. The high harmonic function of this plugin is fantastic - usually; on the wrong source it just makes everything worse. The unwelcome intermodulation distortion component of the other control can only be used both sparingly and very carefully. lest it badly unglue your mix. perhaps it's intended for master bus usage, but I think it's way to heavy handed for that. I used to own an Avalon 737 & sold it & then regretted. I then bought an Avalon M5 & it’s not the same it was way more transparent than I wanted. I wanted that roundness back my vox & I wanted to doit during the trackin phase. I demoed the TwinTube & WaveArts which I had to use after trackin. Both good but the TwinTube sounded better on vox & the WaveArts sounded better on Instruments. I’m very please with my choice for vox. To me it was very close if not indistinguishable to a multiple tube unit. Very useful on transient design and sound shaping. try and you will buy! I'm personally using this for Basses. I don't know why, but it gives the magical character I have always been looking for. Subtle roughness and pushes the edges if you want so. I also have the native version, but somehow I always turn to the UAD version. For keyboards I use only stereo samples (electric and acoustic piano) and I was surprised how much life and shine this little plugin can bring to the sampled sounds. Helps them to cut through when the mix is getting a little cluttererd.